Southern Delaware, while a bit of drive from Wallops, is a wonderful place to visit while you wait for launch day. The area offers a plethora of towns and tons of activities, from antiques to amusements and from fishing to golf. Learn more about the area’s culture at the Maritime Heritage Festival. Mourn the end of summer during the Bethany Beach Jazz Festival. Take part in Nanticoke’s Indian Powwow or appreciate the arts at the Boardwalk Arts Festival. Whatever your interests, there is something for you in Southern Delaware. Here’s our overview of what Southern Delaware has to offer. Beach Boardwalk and downtown Bethany Beach, shop tax-free and dine at a large variety of restaurants along the Culinary Coast. Fenwick Island is the first town you’ll discover as you cross the state line. Known as the Quiet Resort, it is home to the Fenwick Lighthouse, built in 1858. This 87 feet tall structure is on 146th Street and admission is free. Call 302-436-8100 or visit www.fenwickislandlighthouse.org for more information. Fenwick Island is also home to some smaller motels and some unique gift shops and restaurants, including Harpoon Hannas. All streets in Fenwick Island offer public dune crossings to the beach and lifeguards are provided on most days between May 15 and September 15. Fenwick Island State Park offers guarded ocean swimming during the summer months, with a bathhouse and snack bar. Surfing and surf fishing are allowed in designated areas and watercraft rentals are available. There is an entrance fee from May through September. Bethany Beach is 12 miles further north and has almost a mile of beach lining its shore, with its own Boardwalk, and a Bandstand providing free family entertainment all summer long. Trolley cars run throughout the small town during the summer, for only 25 cents a ride, and this helps with the sometimes limited parking. Rehoboth Beach is not quite so quiet, and offers a Boardwalk full of eateries, amusements and rides. Stretching more than one mile along pristine Rehoboth Beach, this famous boardwalk is lined with shops, restaurants and other amusements. It is consistently ranked among the top 5 boardwalks in the United States. 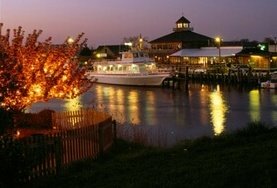 Rehoboth Beach dining is known as the capital of the Culinary Coast. The vibrant Downtown Rehoboth is packed full of small restaurants and bars, includingDogfish Head Brewings and Eats, with may attractive shops and art galleries. 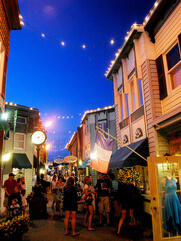 The tax free shopping of Delaware attracts many visitors to the Tanger Outlets just north of Rehoboth on Route 1. Dewey Beach, Rehoboth’s nearby neighbor, has a buzzing night time scene of its own with live music, dancing, and nightlife that is world famous! restaurants and museums it has to offer. There are also some fairly exclusive hotels including Dogfish Inn, a 16 room hotel owned by Dogfish Head Brewery. Tour Shipcarpenter Square, take an eco-tour on the water, and stroll the streets of this quaint, historic town. Shop tax-free, browse art galleries and dine among a large selection of delicious restaurants and eateries. 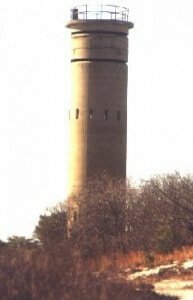 historic World War II Observation Tower, with 360-degree views of the coastline, and a former military bunker which looks out onto the breathtaking Atlantic coastline. Explore the Great Dune and tour Fort Miles, home to one of the largest and most heavily-armed coastal fortifications ever built. Climb the steps and enjoy a spectacular view atop the WWII Observation Tower, then journey through an underground gun battery and see a restored 12-inch gun. Rent bikes and ride the newly constructed Gordon’s Pond Trail with amazing views of salt marshes and wildlife. Georgetown, Delaware, explore this well-rounded reflection of Americana and peek into the local taverns , restaurants and shops. Head just south of The Circle and visit a huge collection of memorabilia at the Nutter D. Marvel Carriage Museum and take a tour of 16 Mile Brewery right across the street. Named after the English poet, John Milton, Milton exudes shipbuilding heritage, Victorian charm and scenic beauty along the Broadkill River. Shop tax-free, antique, take a walking tour or tour the famous Dogfish Head Craft Brewery.
. 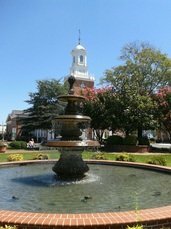 Afterwards, take a short drive to downtown Laurel where you will see more than 800 homes on the National Historic Register. In the center of town, you can dine along the bucolic Broad Creek. 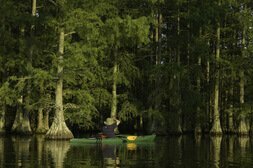 Tour the village of Bethel and drive to Phillips Landing on the Nanticoke River, part of the Captain John Smith National Historic Water Trail. The Seaford Museum is a converted Post Office where you can see a new exhibit featuring Black Pilots of the Nanticoke River, learn about the Nanticoke Indians, the murderess Patty Cannon and early agriculture among other local stories. 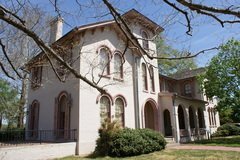 The Ross Mansion and Plantation features a 1859 Italian Renaissance Mansion and outbuildings such as a granary and slave quarters.